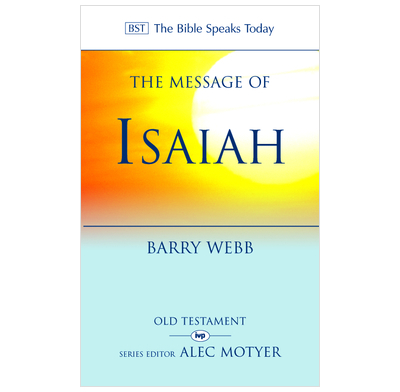 Barry Webb helps the normal reader to explore this giant of the Old Testament. The book of Isaiah is outstanding in its brilliance of style, its poetic power, and its foretaste of the hope of the gospel. It tells us how God himself has provided the highway to holiness for those who have been 'redeemed' or 'ransomed'. These are images which evoke the Exodus from Egypt, and foreshadow Christ's achievement at the cross. There is tangible joy for the reader in Isaiah's portrayal of judgment - rebuilding within the demolition, the new replacing the old. In Isaiah's masterpiece, both national and world events reveal God's hand, and its good news is the very hope of the world. I am studying Isaiah with 2 Bible study groups so I bought this to use in preparation. Barry webb has A very practical approach. He is clear, thorough and at times inspiring. Isaiah is a big book in many ways but this commentary manages to be concise and yet quite deep and scholarly. His exegesis is followed by helpful and practical exposition. I strongly recommend it.